The $4.444 million acquisition of the CVS Pharmacy at the NEC of Warner and Dobson roads in Chandler, Arizona, was part of a 1031 Exchange. PHOENIX, ARIZ. (July 25, 2017): The NAI Horizon investment sales team of Senior Vice Presidents Barbara Lloyd and Lane Neville represented the buyer in the $4.444 million acquisition of the CVS Pharmacy located at the NEC of Warner and Dobson roads in Chandler, Ariz. The buyer is the Michael S. and Mary M. Cho Family Trust and was represented by NAI Horizon. The seller was Babytail III, LLC and was represented by Brad Richardson of Stan Johnson Company. 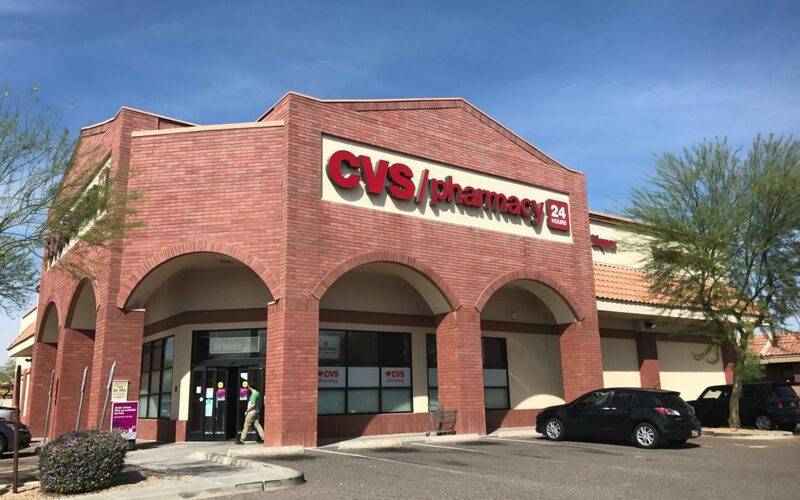 “After the successful sale of their Tempe mobile home park they owned for more than 40 years, we were able to assist our client in completing their 1031 exchange and acquire the CVS at Dobson and Warner,” Lloyd said. “This was an ideal situation for our out-of-state client to 1031 exchange into a NNN leased, single-tenant retail investment,” Lloyd added. A properly structured 1031 exchange allows an investor to sell a property, reinvest the proceeds in a new property, and defer all capital gain taxes.